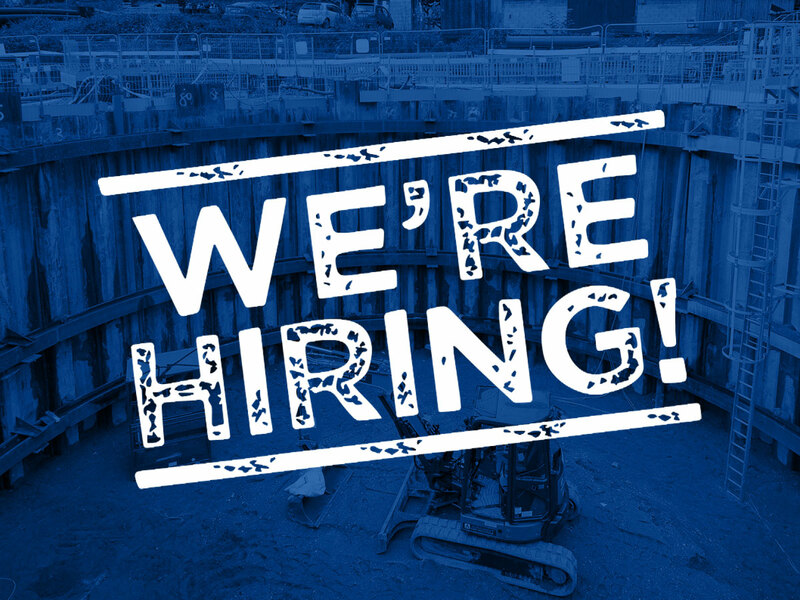 Sheet Piling Contractors, Sheet Piling (UK) Ltd. 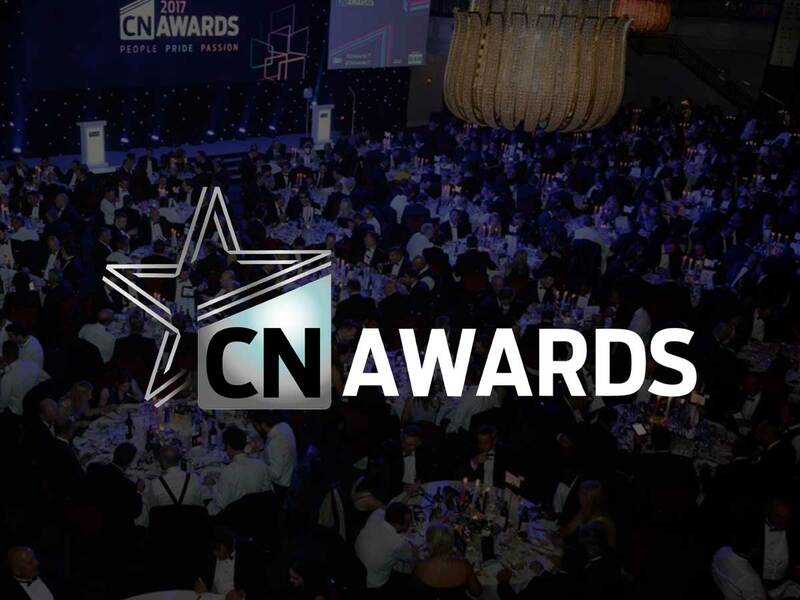 Were appointed by Morgan Sindall Construction & Infrastructure Ltd for the design, supply, installation and extraction of temporary sheet piles and an upper steelwork bracing to form a cofferdam to facilitate construction of a cast in-situ Concrete Water Storage Tank. 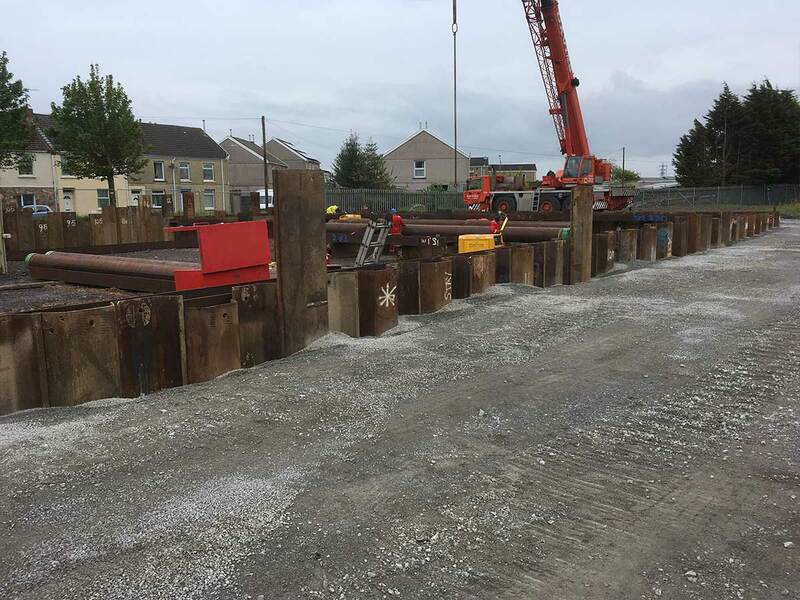 Working closely with Morgan Sindall Construction & Infrastructure Ltd throughout the design development stages, Sheet Piling (UK) Ltd provided a temporary sheet pile design solution which satisfied all the project criteria for the works. The Overall Cofferdam Dimensions were approximately 33.0m x 24.0m and the maximum excavation depth was 6.15m Locally Increasing to 6.895m. 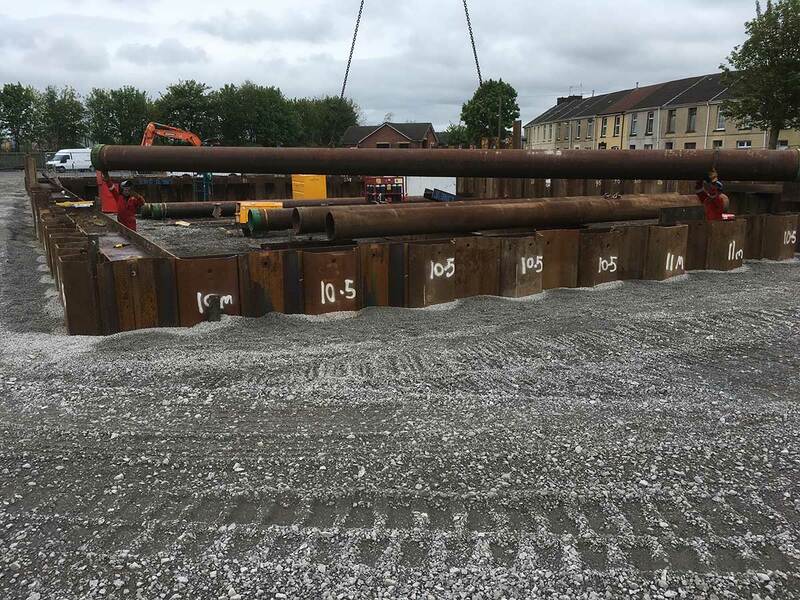 The temporary sheet pile cofferdam was constructed using 190No. 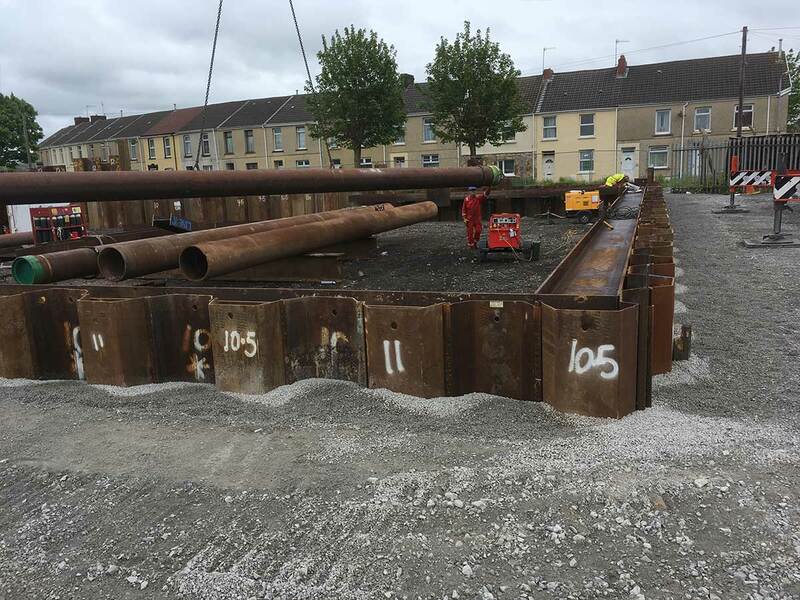 10.0m/11.0m Long Arcelor GU18N temporary sheet piles and approx. 30Te of temporary steelwork for the Upper Steelwork Bracing Frame. 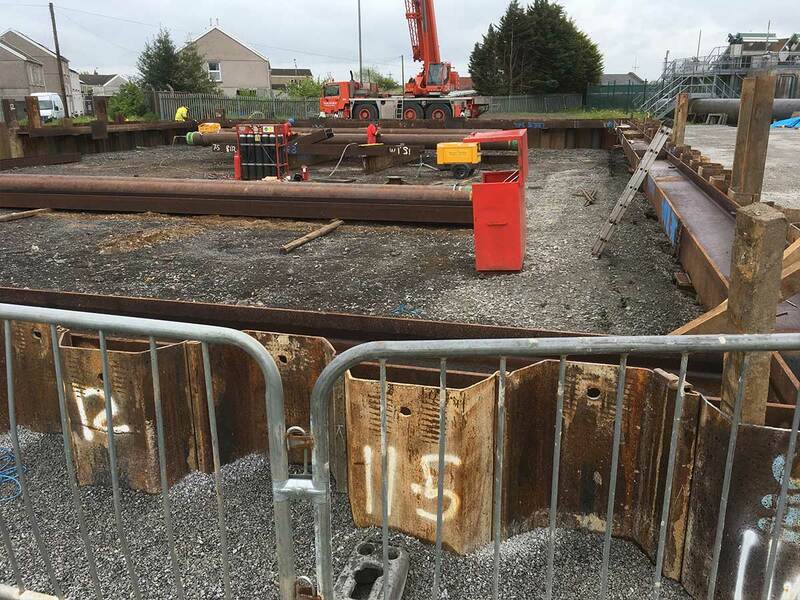 In addition, a proprietary hydraulic modular lower bracing frame was designed and installed by others to withstand frame loadings supplied by Sheet Piling (UK) Ltd. 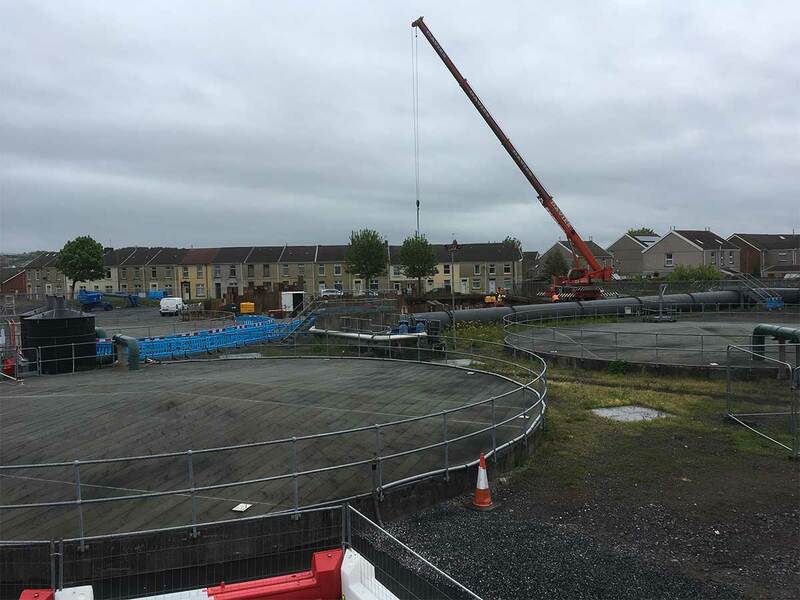 In order to install the temporary sheet piles a tracked Telescopic Leader Rig was utilised along with its attached High Frequency Vibratory Hammer in association with a 50Te Mobile Crane acting as a service crane. The general soil profile consisted of Made Ground over a band of Clay and Peat over a medium dense to dense Gravels over mudstone, which made installation using a Leader Rig c/w Vibratory Hammer the most economical and viable installation and extraction method for the sheet piles. The installation works was completed during a 2No. 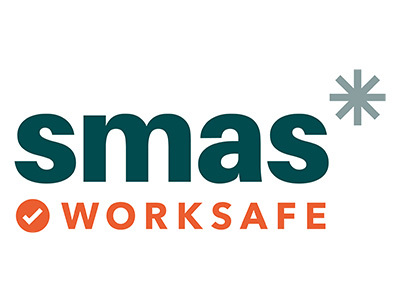 week period in April 2018 and extraction of the sheet piles was carried out in January 2019 to the satisfaction of all parties.